Opening this week in San Francisco is Sally El Hosaini’s My Brother the Devil, which won the best debut feature, award at the Frameline LGBT film festival this summer. El Hosaini is an Egyptian Welsh director and her film was developed with the Sundance Directors and Screenwriters Labs in 2009. This was her first feature shot in Hackney London. The story takes up an Egyptian immigrant family, with two first generation English sons. The wife has a minor role, almost part of the furniture in her casting, and is always forgiving of her two sons. You can almost predict that there is going to be tension between the father and the older son. 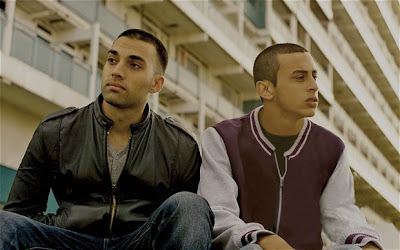 So, the older boy Rashid (James Floyd) has fallen out with his father, but there is still hope for the younger Mo (Fady Elsayed). Nevertheless Mo has managed to pick up a lot of conservative values and is homophobic. 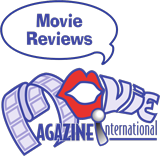 One of his best friends is a young woman who refuses to accept an expensive gift from him. Rashid deals drugs to help his younger brother into college. Mo admires his older brother and wants to follow in his footsteps but Rashid is protective of him. Much of the film deals with the drug scene of a street gang, rival gangs, and eventually violence involving knives and gunfights. There is nothing new about this scenario but then El Hosaini switches midstream, without any foreshadowing to chronicle Rashid and what seems a very covert growing attraction a photographer of Egyptian descent. This is something that causes Rashid to withdraw from his life on the streets, and even more from his family. Mo finds out and would have preferred his brother to be a terrorist than a "homo". For a debut film, the composition of the frame, the script and the editing is above average. El Hosaini shows us the concerns of a youth of subculture within London. The Hackney dialogue is a bit difficult to follow and the gritty reality of the film is somewhat "hackneyed" and has been done in other films. But no doubt this Egyptian Welch director shows promise for future productions.